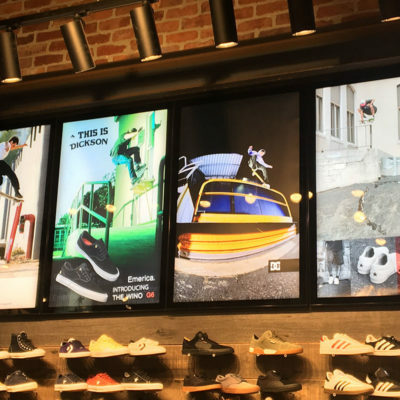 Create a retail space that reflected the feel of the street skate scene as a theme throughout all their retail outlets. Fast Times used our Edgelit light boxes, namely our Multi Sign model as well as backlit light boxes in their retail design. There was also a need to provide architectural signage in the form of an honour board, internal glass display cabinets as well the usual retail signage.